Though cross-selling and upselling are sometimes used interchangeably, they’re fundamentally different. Cross-selling pitches products in addition to what the customer is already interested in, and upselling suggests a more expensive version of the product . Say you’re shopping for a new phone: An upsell pitches you a pricier phone with more memory, while a cross-sell pitches you cases to protect your new purchase. One is for related products — a high visibility vest to a customer interested in a bike helmet. While those two products don’t inherently go together, they both appeal to the safety-conscious cyclist. Another is for complementary products — an item that goes directly with the primary product. These might be batteries for a toy or ink for a printer. Often the most profitable cross-sell, however, is for a service. In this example Apple is cross-selling accessories and a service – AppleCare – plus a cheeky upsell for a longer lightning cable! You might think that you don’t have services to sell, but technology stores have known for years that add-on plans for protection, training, or enhanced customer service can be hugely profitable. Best Buy reportedly makes much of its money from protection plans. Finally, you can cross-sell with bundles. As the name suggests, these are groups of products that are included together. You might bundle a case, headphones, and a screen protector with a new smartphone. Typically, stores offer a discount on bundled products to encourage the customer to buy items together instead of individually. Check out these step-by-step instructions for Setting Up Cross-Sells and details on Creating Bundles and Grouped Products. Should you be cross-selling in your store? Now that you know the basics of cross-selling, is it worth the effort? Absolutely! Major retailers rely on cross-selling for a reason: It works. Amazon reports that cross-selling and upselling generate as much as 35% of profits. If you’re not doing it in your eCommerce store, you’re leaving money on the table. It increases your average order size. People who purchase one product are more likely add another. If you can spend more on marketing to new customers, each new customer will be worth more to you. It increases profits. Large chain stores typically have higher margins on accessories than on the main product itself — you can follow a similar strategy with your store. If you offer free or flat-rate shipping, you’ll also save money on smaller accessories that don’t cost extra to ship but bring in more revenue. It increases your customer lifetime value. Every time a customer buys from you, he or she is likely to spend more. Higher order values compound over the life of the customer, and you earn more as long as the customer buys from you. A few guidelines when promoting products through cross-selling. Keep things relevant. The more closely related the add-on product is to what the customer is looking to buy, the more likely they are to add to their cart and purchase. Sell something custom-designed to work with the primary product. On their WooCommerce site, the stroller company Veer displays their most popular accessories on each product page. Accessories have lower price points than the primary purchase, which are for Veer’s all-terrain cruiser, retailing at $599. This is effective because those products go perfectly with the Veer cart. If a customer knows that he or she will want a canopy, it’s an easy sell. The absolute best type of product to cross-sell is something custom-designed to work with the primary product. Veer also does a great job at the next guideline — ensure that options are customized. Understand the needs of your customer, offer relevant products, and the selling will come more easily. A customer looking at a $900 chef’s knife is unlikely to be interested in budget kitchen products, no matter how tempting the price. But show a premium set of kitchen shears, and you’ll most likely capture a sale. Customization goes for pricing as well: Don’t cross-sell products that cost 60% more than the item already in your customer’s cart. With that in mind, here’s how you can go about presenting your cross-sell products. You know the basics of your product, shipping, and store. But for the positioning side of selling, it’s necessary to understand a different domain — psychology. How you sell your product depends largely on how the customer perceives what you have to sell. That means you need basic persuasion techniques to deliver a compelling offer that drives sales. First, pre-select the items you’re going to cross-sell. When you’re just starting, it’s a good idea to hand-select what you want to offer. Choose products that fit the customer as best as possible. Next, limit the total number of options. Don’t overwhelm people with too many recommendations. Even though Amazon has dozens of recommended products for every item, they only show a few at a time. WooCommerce store Munchachos does a great job showing recommendations. Instead of listing dozens of related snacks on a product page, there are three. Third, highlight the benefit of a cross-sell whenever possible. This is especially true if you’re selling a service, such as a warranty or support plan. Explain why the extra is necessary, how it makes life easier, and what’s in it for the customer. Finally, use social proof to your advantage. Phrases such as “customers also bought” or “popular related products” provide evidence that customers are buying these products. Nobody wants to be the first to try something out. You can also use customer reviews, expert opinions, or recommendations to show how popular a product is. There are only two times to pitch a cross-sell product: On the product page and during checkout. While there are no hard and fast rules, a general guideline is that it’s easier to pitch “low barrier” products at checkout, and leave high-ticket items on the product page. Place larger accessories that cost 15-50% of the main item on the product page, and leave smaller items at 10% or below for checkout. This is the same strategy you see at grocery stores displaying $1 packages of gum and candy in the checkout line. It’s also the reason McDonald’s sells apple pies at the counter: Jeff Stratton, head of McDonald’s U.S. division, noted that moving apple pie displays to the back would cut pie sales in half. 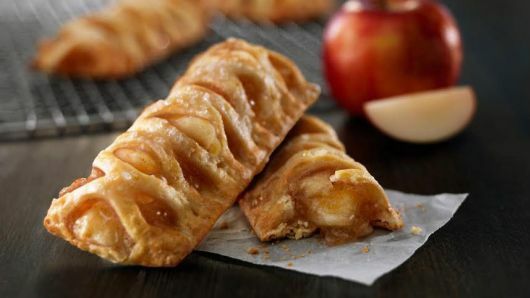 Does your store have an undiscovered ‘apple pie’ to cross-sell during checkout to drive extra revenue? But this rule of thumb might not hold true for you. The secret is to try something, test another version, and keep making improvements. For cross-sells on product pages, use WooCommerce’s built-in functionality. More at: How to Set Up Cross-sells, Upsells, and Related Products. If you’ve not yet used cross-selling in your store, why not give it a try? Start by finding your best-selling, big-ticket items — your flagship products or more expensive items — then look for related products that would directly interest those customers, and present them on the product page or during checkout. Test and improve on a rolling basis, and see which products sell well. Build trust with your customer, don’t pitch too hard, and you’ll begin to see profits in places you didn’t expect. What product will you cross-sell first? Let us know how it goes in Comments!